One of the advantages of re-reading a book or re-watching a film is that you may catch something that you never really noticed before. 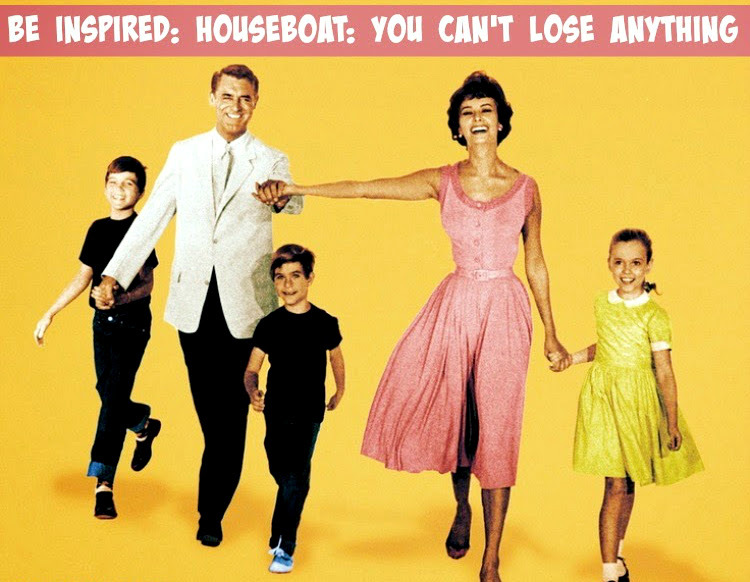 I have watched the film Houseboat (1958) a few times and I even own the dvd, but this weekend I watched it again and really took notice of the conversation that that Tom Winters (Cary Grant) has with his eldest son, David Winters (Paul Petersen-whom I had the pleasure to meet last year HERE). The exchange between father and son about life and death really blew me away. I cannot believe I didn't notice it until now and I really wanted to share it with you. I kept thinking, "Cary Grant has the same believe system I have", which is totally silly but I did find it neat that my own personal understanding of the Universe was similar to that of Grant's character. What did you think? Have you discovered neat little bits like this after re-watching a film? Which film was it and what did it say? I need to watch this movie so I can see this scene! I love how he explained life and death. And "Give up smoking, it's bad for older people." Haha, that made me laugh. I'm going to remember that one. This one just popped up on Netflix, I need to watch it soon! I've got so many movies on my to watch list, I need a couple more hours in the day to do it all!